Nidra means sleep this is the state we enter between wakefulness and sleep, when profound relaxation, release of chronic stress and deep transformation can occur. 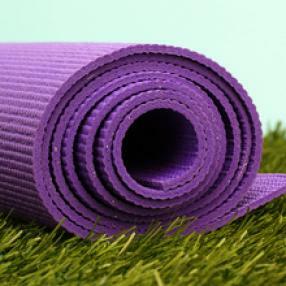 Restorative Yoga offers students much needed time for space, relaxation and deep rest. Each session provides a calming, holistic tonic to busy, modern living. In these restful classes participants are welcomed to melt into carefully crafted sequences of restorative yoga poses supported by props such as bolsters, blankets, blocks and straps. Postures are held for extended periods to allow the body to fully let go and discover a deep, peaceful release. During the postures participants are guided into deep breathing to deepen the letting go process, allowing space for the body to heal and rejuvenate. Restorative yoga is perfect for those who are recovering from injury or illness as well as those who want to simply reduce stress and learn to rest. This style also works as a complement to other more active styles of yoga. We also use low infrared heating during the sessions to keep the room warm. This type of heat supports bodily tissues to heal and leaves participants feeling nurtured and cosy. At the end of each session participants will be offered an optional square of delicious dark chocolate used to bring us back to our senses after 75 minutes of deep relaxation and healing.